The Red Bull Hard Enduro series is finally upon us, with the first round of the year taking place over the weekend. The rain filled weekend in Minas, Brazil has given us a lot to think about, and even more to look forward too. The race in Minas was complicated at best. 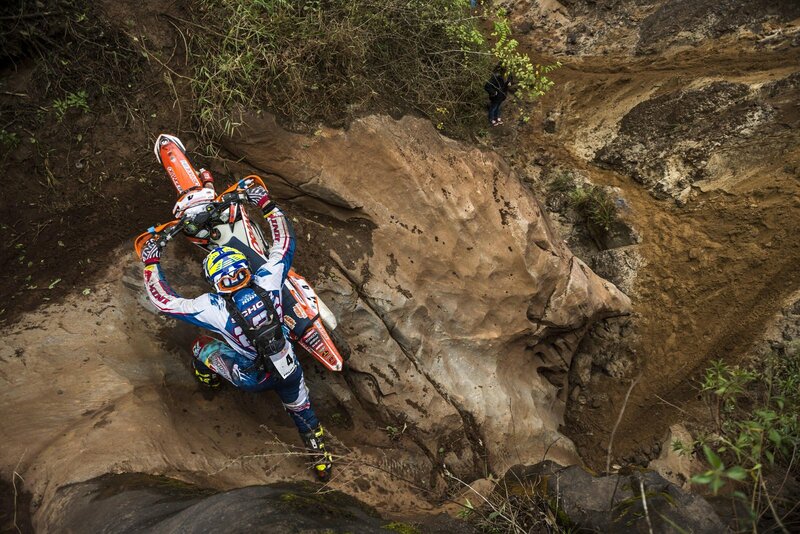 Heavy rains drenched the Prologue, resulting in one of the wildest Enduro spectacles we have ever seen. 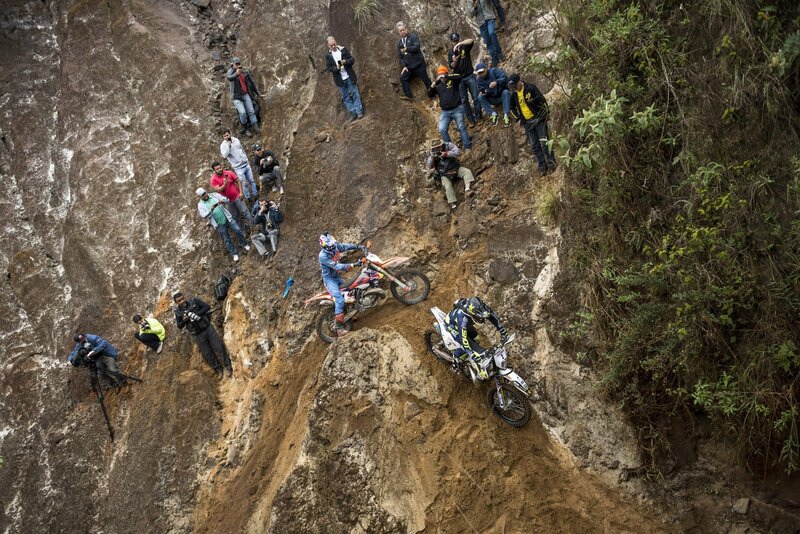 The Prologue is the opening event for any of the Red Bull Hard Enduro races. It features riders competing over a variety of ‘man-made’ terrain for a chance to go to the Prologue finals. Once the top 35 riders compete in the Prologue final, the results dictate the starting order for day one of the off-road sections. The top 3 finalists can take their pick at which order they prefer to start in, and after that, it goes by order finished. After the chaotic prologue it was time for the real fun, the off-road sections. Day one was quite the surprise, not because of who won the stage, but more the fact of who didn’t. Alfredo Gomez is known for doing well at the Brazilian round, yet he struggled. After crashing several times Gomez found himself in a respectable 3rd place. Graham Jarvis took home the gold, with a demanding 3-minute lead over the eventual second place. Graham credits his runner-up performance last year where he felt he started to slow, losing pivotal ground on Gomez. This year he planned to attack fast and early, and as we can see he definitely succeeded with his new strategy. The real surprise however, was that newcomer from the US, Cody Webb, has all the skills to take him into one of the sport’s greatest riders, and now we are finally getting to see that come true. Jarvis and Webb swapped positions several times throughout the race, with Webb pushing Jarvis’s pace the entire time. The wily old veteran wouldn’t be beaten though, pulling out a fair margin of victory in the end. Regardless, Webb impressed big time with his skillful performance in what was his first real test. Day two further thickened the plot. Cody Webb blitzed everyone on day two to come out the stage winner, with Graham Jarvis nipping at his tail. Alfredo Gomez ran into similar troubles on day two keeping him from reeling in the two leaders. Even still, Gomez put in a very good performance, allowing him to keep his hard-fought third place. Unfortunately for racers and fans alike, outside concerns over environmental conditions cause the race to be cut down by two whole days. Because Jarvis had pulled out such a lead on day one, Webb didn’t do quite enough to reel him in, giving Graham Jarvis the overall points win. With Webb second Alfredo Gomez coasted to an easy third. While it was an unfortunate end it was still a magnificent race, especially with the young rookie coming out of nowhere to dance with the kings of Hard Enduro. Next up will be Erzburg Rodeo in June, a race that never disappoints.